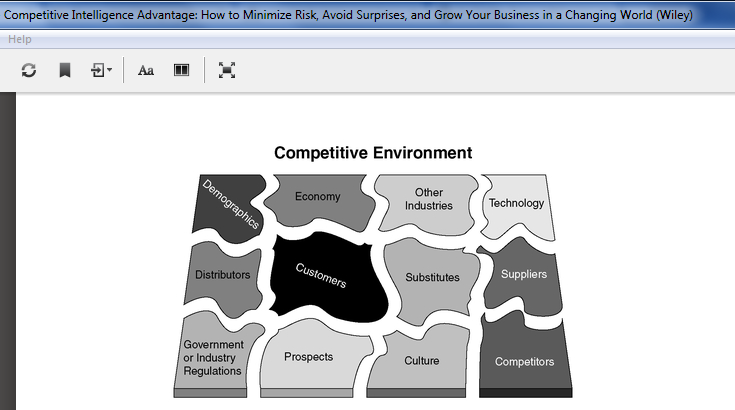 Does your Competition Minder product provide insights into these same components of the competitive Environment? Yes. Raghu. They can use both InfoMinder and TopicMinder to gather information from various websites. What our tools provide is raw information. The person in charge of researching competitive environment can use this information, do some analysis and derive insights. Right now we scan the web, RSS feeds. We will soon be adding ways to get this information from Twitter as well.